With over 1100+ types of counseling degrees at hundreds of schools in the United States, many of which are CACREP or MPCAC accredited (APA for Psychology), we are the most comprehensive resource for you to use when research the different types of counseling degrees and careers. Start by reviewing our proprietary, hand-reviewed and researched list of online Masters of Counseling programs, or research all of the different types of counseling programs (there are numerous specialties). You can also look at some of the more popular counseling degrees offered online: the Online Bachelor's of Counseling and the Online Master of Counseling. You should also consider reviewing the different counseling schools in your state, and understanding the differences in licensure to practice as a counselor or psychologist. If you are interested in the end goal of a counseling career, you can review our psychology and counseling career guide here. There are many different types of counseling degrees - over 20 different specialties. Compare all of them and read more detail here. 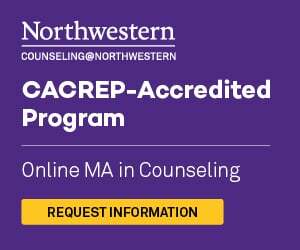 There are hundreds of Online Counseling Programs that are MPCAC or CACREP accredited, mostly at the Masters degree level. You can search for accredited online and campus-based colleges for counseling degrees at undergraduate and graduate levels. There are many different types of counseling degrees for you to investigate for a career in counseling. To become a counselor, you have to pass multiple requirements. According to the American Counseling Association (ACA), a Bachelor's degree (a prerequisite for basically all Masters Programs) AND a Masters Degree in Counseling are the minimum educational requirements. The ACA recommends obtaining a Masters in Counseling degree from the premier accrediting body in Counseling: Council for Accreditation of Counseling and Related Education Programs (CACREP). Note that the accrediting body formerly known as the Council on Rehabilitation Education (CORE) merged with CACREP in 2017, and CACREP is now fully integrated with reviewing all Rehabilitation Counseling programs. Our database has been upgraded accordingly with the most up-to-date information. You can view our full review and list of online CACREP accredited counseling programs. It should be noted that if you are seeking a counseling or psychology program, you might consider the MPCAC (Masters in Psychology and Counseling Accreditation Council). The MPCAC focuses on reviewing and accrediting Master's programs that meet the scientific practice of professional psychology and counseling. You can view our full review and list of online MPCAC accredited counseling programs. License / Certification: Licensure is strongly recommended and a requirement for many positions as a counselor. You can become certified as a: National Certified Counselor (NCC), Certified Rehabilitation Counselor, and/or a Licensed Professional Counselor (LPC). The National Board of Certified Counselors (NBCC) recognizes counselors that meet all of the above requirements, as well as adequately scoring on the National Counselor Examination for Licensure and Certification (NCE). The Commission on Rehabilitation Counselor Certification (CRCC) sets the standard for quality rehabilitation counseling services with its internationally recognized certification program. State by State Counseling Licensure: Each state has their own individual counseling licensure requirements. Many states are similar, but some are different. Be sure to consider with state you plan on settling down in, and view the state counseling licensure information to make sure you are set up properly. Online counseling programs are extensive and typically specialty-oriented. Online-based degrees are also becoming more common than campus-based programs, especially at graduate levels, such as the Masters in Counseling. A Bachelors in Counseling is the most common undergraduate degree. Most people find that psychology and counseling majors are both great complementary degrees for a future master’s degree in counseling. The most common degree for practicing counselors is the Master's in Counseling, which is widely available online at reputable universities. Master's degrees in clinical counseling and rehabilitation counseling are some of the more popular specialties. Doctoral or Doctorate of Counseling programs typically last 4-5 years, depending on a student’s rate of study, and are terminal programs for counselors that wish to continue their education or become a teacher or professor. Degree programs in counseling are beneficial at all levels. Undergraduate degrees in counseling can provide graduates with access to many entry level positions in mental health services. Having a degree in counseling provides for a stable foundation for a better career. Those that choose to move into graduate degree programs will find that the possibilities for employment increase with the higher degree. Most graduates in counseling choose to get a master's degree so that they can obtain licensure through their respective states. Most states require at least a graduate degree, supervised work experience, and passing of a state board exam prior to being approved for a license to practice. Why Consider a CACREP Accredited Program? The Council for Accreditation of Counseling & Related Educational Programs (CACREP) is the premier accreditation board for counseling degrees, and for good reason. CACREP accredited counseling degrees have commonalities in program substance, classes, research, techniques, and processes. Employers know exactly what they are getting from graduates that were educated by a CACREP accredited program. Counseling as a specialty focuses on the professional and client specifically. It refers to the process of guiding a client to a solution to a problem, usually in an emotional context. Counseling is a sister subject to psychology, with both dealing specifically with human behavior. The history and research in both fields has allowed the two subjects to grow together, while still remaining remarkable different. Counseling on its own has evolved into a science of support and understanding for those suffering from stress and overwhelming consequences to life choices. As a whole, counseling has become its own sector of psychology. Use the below quick links to navigate to in-depth information on the top counseling degrees, including information on which universities offer the degree at the level you are interested in. Overall, there are currently 736 counseling programs in the US accredited by CACREP, the Council for Accreditation of Counseling & Related Educational Programs. There are many different types of counseling degrees available at campuses and online universities across the US. We have researched all of the top counseling programs, and provided a summary below. The field of counseling can be considered one of the most diverse educational and career fields currently available throughout the United States. Within this subject area, people can learn different techniques that can be effective in helping work through a wide variety of life-related and adjustment issues. Counseling itself focuses on providing direction and assistance to people in need, whether it be through different types of therapy, pharmaceutical intervention or even life planning services. Counseling fields can be found in many different walks of life. There are currently counseling programs for people that might be interested in working with individuals that have experienced different types of lifestyles, such as family, career, military, behavior and substance abuse counseling. Professionals that become a part of the field of counseling may have the opportunity to choose a certain path for their studies, which can help guide their career in the right direction for what they wish to achieve. As a counseling professional, people can use different methods to help those in need. Through intensive interviews, counselors can learn more about their clients and the struggles that they may be seeking assistance with. Counselors may then develop a treatment plan which lists the steps and procedures that need to be followed in order for their client to achieve their desired result. Different counseling techniques may be used depending on the type of field that a professional chooses to work, but can include those that expose clients to irrational fears, introduce clients to services that can assist with maintaining a normal lifestyle or even assess people to determine important vocational skills that can help increase the likelihood of finding meaningful employment. Widely considered a bridge between counseling and psychological-based programs, Counseling Psychology is a degree and career field that calls upon research-driven and dedicated counseling professionals. In this field, the basics of counseling are combined with the investigative aspects of psychology, which can lead to a more diverse understanding of the emotional and behavior aspects of the human race. The people that choose to pursue a degree and then career in this field may consider many different components when identifying cultural risk factors for emotional health. The natural development of human resilience, coping and crisis management may also be a large part of what is included in these programs. One of the biggest differences between Counseling and Counseling Psychology programs is the agencies that provide oversight for each one. Upcoming college students that become involved with Counseling Psychology programs will work with the American Psychological Association for their certifications, while standard counseling programs are governed by the CACREP. The field of counseling may consist of many different forms of specialized counseling for people with different needs. Mental Health Counseling may be a popular choice for upcoming counseling professionals, since it is focused on providing well-rounded mental health support for a wide variety of clients. Most often, Mental Health Counseling professionals may work in mental health facilities or counseling agencies that work with people diagnosed with Depression, Anxiety, Schizophrenia or Oppositional Defiant Disorder. While there are numerous different diagnoses that professionals may see on a daily basis, the primary responsibility of the Mental Health Counselor is to ensure that their clients are able to cope with the symptoms of their disorder and receiving proper pharmaceutical support as needed. Mental Health Counseling professionals should have a diverse knowledge of the different forms of psychological disorders currently present within society. Educational programs can provide better insight into symptoms, causes and treatment options for people categorized by these disorders. Learning about the different types of therapies and treatment approaches can also help professionals within this field choose the right path for the clients, so they can ensure a high-quality care from their providers. Clinical Mental Health Counseling is a method of counseling that takes into consideration the need for a full range of services for clients in need. These professionals may work with patients in a hospital or mental health environment that have been diagnosed with mental illness or showing signs of an acute issue. 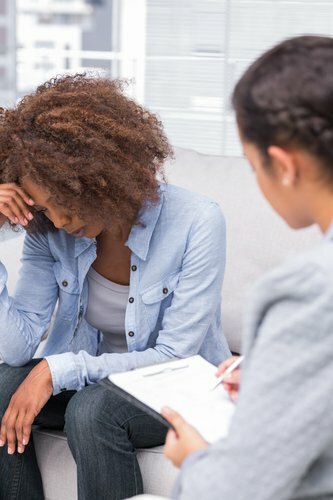 Some of the job responsibilities of Clinical Mental Health Counselors may include providing a direct assessment of their client in order to form a diagnosis, organizing a treatment plan that may include psychotherapy or other popular means of therapeutic care and continual services that can ensure the patient does not require any additional treatment. Professionals in this field can work with people experiencing emotional distress, have serious mental health issues brought about by trauma or substance abuse or even people that are current working through a serious crisis. The Clinical Mental Health Counseling degree program may provide a great clinical focus into the care and treatment of people with serious mental illness. Students in these programs may take part in a supervised work experience requirement that can allow them to work with licensed professionals in the field. This process can help professionals gain better skills in providing assessments and treatments to patients in a clinical environment. The coursework for this program can also be very diverse and include topics such as acute mental health care, abnormal psychology disorders and advanced clinical treatment methods. Behavior Analysis is an emerging field for upcoming professionals interested in investigating socially-significant behaviors and providing behavior plans that can assist with modifying behaviors to a more beneficial point. Although most commonly found in educational systems and private practice, Behavior Analysts may be becoming more popular in the treatment of behavior in all of society. This field emerged as primary driven towards children and adults with Autism Spectrum Disorder, but has since been changed to include all people in which behavior analysis programs can be significant. Students of this field may be introduced to several behaviorally-focused techniques pioneered by historical researchers such as Ivan Pavlov. 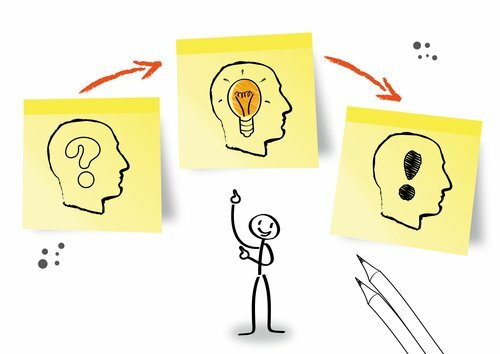 These techniques include hands-on training that can teach recipients that engaging in preferred behaviors can lead to rewards. Educational programs that focus on Behavior Analysis may introduce students to this field by teaching them to properly identify significant behaviors in need of changing. This can be through observation or client interviews, as well as integrating data collection to determine the frequency and duration of the target behavior. Students can then learn techniques to ruling out other psychological or development issues, which could hinder progress throughout the treatment program. Once all factors have been reduced, students can then learn to implement helpful behavior intervention plans that can assist in successfully substituting negative behaviors with more beneficial ones. Fields of counseling that focus on specific life events or psychological disorders can be a great choice for students that wish to work with specific groups of people. One area of counseling that may be popular with individuals with this desire may be Substance Abuse Counseling. This field specializes in the care of clients that are suffering from addiction to alcohol or illegal drugs, are recovering from addiction or even those at risk for addiction. In some areas, Substance Abuse Counselors can even work with families of substance abusers that are seeking relief from the trauma associated with their situation or assistance with developing a family support program. People that engage in Substance Abuse Counseling degree programs can learn more about the effects of substance abuse on the human brain, how it interferes with normal life functioning and relationships and different methods for recovery. Students in these programs may also learn how to effectively partner with rehabilitation agencies during the course of treatment for people with substance abuse issues. Counseling techniques that students can learn throughout these programs can help clients identify factors within their lives that may have led to substance abuse, determine alternative hobbies or activities that can assist with the recovery process and partner clients with supportive people that can help them along their journey to a safe and happy lifestyle. School Counseling professionals are trained to be supportive to students that are seeking relief from academic stresses, social pressure and even personal support. In the school system, School Counselors may be responsible for developing helpful awareness programs for students of all grade levels, working one-on-on with students that are struggling with personal or academic issues and helping students plan for their professional future. People that choose to work as School Counselors are often knowledgeable of techniques geared towards children and adolescents that can be utilized in the school environment. Students that choose to pursue School Counseling degree programs can learn more about counseling assessments and techniques relevant to children within these age groups. Through college studies, students may also learn how to identify students that are struggling with their education due to stress at home, developmental issues or even peer pressure. As students in this field, most will have the opportunity to engage in an in-school supervised internship that can assist in providing more substance to the information gained throughout courses in the program. The training provided plus the research within the educational program can assist upcoming School Counselors in becoming more knowledgeable about the issues present within their field of practice. The Licensed Professional Counselor, or LPC, is a professional that can provide mental health care to clients within a clinical setting. The daily responsibilities of LPCs may vary depending on what their clients require, so this may be considered one of the more diverse fields in professional counseling. In a clinical setting, the LPC may see patients that are struggling with mental illnesses, acute psychological issues or even family members that are seeking assistance with managing an ill family member. Part of the process for providing care to clients may involve initiating a clinical assessment, forming a diagnosis and creating a relevant treatment plan. Some of the techniques used by professionals in this field may include those that focus on general mental health and wellness, as well as specific techniques for people struggling with substance abuse, developmental delays and trauma. Since LPCs can be such an influential asset to hospitals and mental health facilities, the educational programs that lead into this profession may focus on care of patients that are managing long-term mental health issues as well as those with acute mental health troubles. The curriculum for this program may include a look into the psychological-based issues associated with mental health, as well as the counseling techniques available for use in the field. Many students within this domain may have the opportunity to learn about a wide range of mental health concerns present within society so that they can apply their expertise to a larger number of patients within the field. One of the largest fields for professionals interested in providing counseling services to the public is within Social Work. Professionals in this field can work in a variety of different settings, including those concerned with family health and wellness, child safety, healthcare and even education. Social Work professionals can work with clients one-on-one to assist them with gaining access to vital resources provided by the state, while other Social Work professionals to step in to help people that are not able to make beneficial decisions about their own healthcare or wellness. People involved in the field of Social Work can be very helpful in supporting people in society through difficult or standard life circumstances. Degree programs in Social Work can be found all over the U.S. Course work for these programs may vary depending on whether or not students choose to pursue a specialization, such as Child and Family Social Work, Healthcare or Mental Health. Each of these specializations can alter the courses that students may be required to take throughout the learning experience. Students may take a deep dive into courses that are concerned with the laws and regulations associated with the field of Social Work, supervised internships required for future licensure and courses that introduce students to diverse populations and their lifestyles. Many social work professionals obtain a Master of Social Work and LCSW licensure (Licensed Clinical Social Work). People that specialize in Addiction Counseling may be more interested in finding ways to relieve people of their dangerous or life-threatening addictions. Similar to the field of substance abuse counseling, this field may focus on individuals that are experiencing addiction to dangerous substances such as illegal drugs and alcohol. However, professionals in this field may also work with people that have addictions beyond the scope of dangerous substances. Clients in this field may be those that are experiencing unusual addictions, such as cell phone addiction, food addiction or even gambling addictions. This field contains lesser limits on the type of people being treated than the standard substance abuse distinction. Those that choose to work in this field are most commonly found working for rehabilitation centers, while some members choose to work in private practice with no professional affiliation. During training to become an Addiction Counseling professional, students may have the opportunity to learn more about what causes addiction from a psychological standpoint. This can include a look into the genetic components, as well as events within a lifetime that could contribute to such a disorder. Using this knowledge, students can then learn to develop helpful individual treatment plans to help steer their clients away from addictions that could be interfering with normal functioning within their everyday lives. Mostly found in the field of social services, Child Abuse Counseling professionals may be responsible for providing support in the event that a child has experienced abuse. Professionals in this field can receive training in order to conduct forensic interviews on children that are free from psychological harm, assist children that are working through trauma caused by abuse and even work with perpetrators of abuse seeking recovery. These professionals can work for agencies that provide advocate services for children, through different state departments focused on protecting children and even through school systems. Students interested in becoming Child Abuse Counselors may be required to engage in a thorough curriculum that includes child-specific psychology and counseling techniques. One interesting component of these degree programs is that they may provide students with a heavy focus on the effects of trauma on the natural child development, adverse behaviors that can result from a history of abuse and prevention methods for child abuse in the home. Some degree programs may also include elements that are directed towards the follow-up counseling for abused children, such as techniques for guiding children to healthy mental development and emotional growth. While most people may hear counseling and immediately think of counselors for anxiety or stress, a large portion of the counseling field may be focused on other areas that can play a crucial role in the wellness of people within society. Career Counseling is a field that involves analyzing the skills and strengths of people in order to help connect them to a vocational field that aligns with their abilities. Professionals in this field may work for career centers, unemployment offices or even in school systems that seek assistance for people interested in entering the workforce. Counselors within this field can be a helpful resource for upcoming professionals that are at a loss on what types of careers to pursue. Career Counseling degree programs can consist of a variety of topics that can be helpful in assisting people with identifying their personal skills. Students in these programs can learn how to initiate different types of personality and skills assessments on the clients they are working with in order to determine what fields they could best fit into. Upcoming counselors can also learn to establish support plans that can put clients in touch with the right agencies to get the jobs they are seeking. The transition to the college lifestyle can be difficult for some upcoming students to manage. In order to make this process easier and to help students make more efficient decisions, College Counselors may be needed to work with students through this period. College Counselors can be found at the High School level, providing support to students that are interested in moving forward to college after graduation. They may assist with filing for financial aid, applying to different colleges and even sorting through many colleges for programs that can align with a student’s goals. At the college level, College Counselors may work with new or existing college students that are choosing majors, having issues socially or even students that are struggling in their classes. This extremely specialized field of counseling may require students to engage in diverse learning opportunities prior to receiving their certification. While enrolled in College Counseling degree programs, students may learn about the collegiate experience from an insider’s point of view, exercise their abilities to acknowledge the skills and strengths of the students they work with and address personal issues that may arise as a student transitions into the college life. Counseling professionals that are interested in providing local and community care to the people around them may find their place within the field of Community Health Counseling. This field may be concerned with providing counseling services to members of the community that are experiencing mental health issues, health-related services in-home or that are in need of assistance with making important decisions about their wellness. Community Health Counselors may also work with low-income families in need of mental health support or even take part in programs that outreach to school systems in their area. These professionals may work in community health centers or through state departments that are interested in providing supportive care to local people in society. Students that choose to pursue Community Health Counseling may have the opportunity to take courses related to mental health and wellness, public health, community health services and professional counseling. Each of these course topics can help students gain a better understanding of the services provided to members of society and the qualification requirements they must prove to receive them. Counseling techniques specific to working with individuals and groups may also be a large portion of the curriculum in this degree area. Students that are concerned with the overall health of their communities could be great additions to this field. One interesting field of counseling that could be an excellent choice for people with great problem-solving skills is Conflict Resolution. In this area of counseling, professionals can work with diverse groups of people that are experiencing conflict and help them mediate their issues in a beneficial manner. As an example, Conflict Resolution specialists can work with state agencies or legal systems that are responsible for establishing custody arrangements or divorce orders. They may be brought in to work with partners or parents that disagree about proposed plans and help to determine what type of action needs to occur in order to solidify an agreement. Conflict Resolution specialists can be a great addition to social and legal systems seeking mediation professionals. Counseling skills that are relevant to Conflict Resolution can be learned through degree programs all over the country. Some of the topics that can assist in creating effective Conflict Resolution professionals may include effective communication, mediation techniques and the legal and ethical methods of counseling. Students enrolled in these degree programs can learn how to consider the views of parties involved while creating a plan than can satisfy the needs of all stakeholders. Couples Counseling may be concerned with creating a more effective relationship between 2 people that are romantically involved. People may call upon Couples Counseling professionals when they notice conflict within a marriage or partnership, as well as when outside issues may be compromising the strength of a romantic bond. The goal of Couples Counselors is to address the needs of both parties and bring to light any underlying issues that may be preventing happiness within the relationship. People that seek out Couples Counseling may require a counselor to assist in finding methods for better communication or understanding that they are not currently aware of. Counselors within this field may be most commonly found in private practice and can assist couples with finding ways to communicate more effectively and respectfully, understanding the needs and desires of each other and developing healthy ways to express thoughtfulness and love. In order to effectively assist couples with improving their relationship, Couples Counseling professionals should receive ample training through accredited degree programs. Within these programs, students can learn how to effectively analyze and determine issues that may be causing conflict within a relationship, as well as develop helpful treatment plans that bring couples back together. Communication and mediation can be 2 important skills taught within these programs, since conflict resolution is a large portion of what can be experienced by professionals in this field. Crisis Intervention Counseling professionals can be a great addition to teams responsible for caring for individuals experiencing a wide array of crises. These professionals can work for mental health agencies, hospitals or even private organizations responsible for providing intervention when a crisis arises. Crisis Intervention Counselors receive training in crisis communication and crisis management that can help them speak with people during crisis, as well as help to de-escalate situations that could lead to danger for the person in crisis or the people present. These techniques can help to keep everyone involved safe and keep the situation controlled until the environment has calmed. Training in Crisis Intervention Counseling can include many behavioral techniques relevant to de-escalation and crisis communication. Students in these programs can learn how to address people while they are in crisis, as well as questions to ask, behaviors to be observant of and communication to avoid. The manner of speaking of the Crisis Intervention Counseling professional may also be an important point of study for people in these programs, since people can tell a lot through tone of voice and dictation of words. These programs can also assist students with learning techniques for ensuring the safety of other people involved in a crisis situation, such as removing people from the room and closing communication between parties. Parents with young children may often be curious about how well their child is developing mentally and emotionally. There are certain indicators that a child may be developing at a normal rate or may need additional counseling to assist when getting them back on track. Child Development Counseling specialists can work with children to determine if the child is experiencing any adverse effects to a changing lifestyle, such as from divorce or relocation, or even from trauma, such as from abuse or abandonment. While Child Development Counselors can be effective in monitoring and diagnosing any issues found within children, they can be useful in most settings that children may frequent. Schools, hospitals and mental health centers are common places to find professionals within this line of work. As a Child Development Counselor, professionals should have a solid understanding of a child’s physical, emotional and behavioral development over time. During degree programs for this career path, students can learn how each of these factors can be influenced by a child’s natural environment, social interaction and influencing adults. People taking part in these programs can also learn how to properly perform assessments on children to identify any risks and create helpful treatment plans to help them begin to improve. People that are experiencing issues with their cultural identity can call upon Cultural Counseling professionals to help them find solutions for a happier lifestyle. Some people that may find this type of counseling beneficial may be those that have moved from a foreign country and are struggling with finding their way within the United States. Locally, people that are displaced from their culture may be experiencing negative emotional effects from their displacement and seek support from educated counselors. There are many different types of people that can receive help from Cultural Counseling professionals all over the country. These professionals work hard to ensure that people are comfortable with their cultural beliefs and can find resources to help them express themselves within their communities. Cultural Counselors can also assist people with finding employment, integrating into society and embracing their cultural in a way that can promote happiness. Cultural Counseling professionals should have a diverse understanding of different cultures and beliefs within their community. Through educational training programs, future counselors can learn more about the diverse population so that they can better serve those that are having issues with adjustment. During these programs, Cultural Counseling students can also learn techniques that can assist them with connecting with their clients, helping them identify the reasons for their disconnection and support their involvement in necessary treatment plans. In society today, there may be a large number of people suffering from depression. Depression Counseling can be a great resource for people that have either been diagnosed with different forms of depression or those that are experiencing the symptoms of this disorder. Counselors that choose to practice within this field may work one-on-one with clients in need of support during depressive episodes, referral services for pharmaceutical interventions or even crisis intervention services as needed. Professionals in this field can be a lasting support to people that are living with depression on a daily basis, or even those that have episodes at varying increments over time. Part of the role of the Depression Counselor is to provide their clients with methods for coping with the illness, getting proper nutrition and exercise and engaging with positive support systems. People that are interested in pursuing this career field should have a thorough understanding of depression and its effects. During a degree program for Depression Counseling, students can learn more about how depression can affect a person’s ability to perform normal life tasks, make decisions that can benefit their wellness and socialize with others. Coursework in counseling can also assist students with learning different techniques for communicating with clients in need of guidance, helping them address issues that may be contributing to their disorder and finding inner strength to work through issues that may have been caused by the depression. Domestic Violence Counseling is an extremely specialized field that may be focused on working with people that have experienced domestic violence. Professionals may work with people that have been first-hand effected by domestic violence incidents, as well as people that were witnesses to violent acts, even as children. Through coping mechanisms, aligning support groups or supportive individuals and individualized treatment plans, Domestic Violence Counselors can assist people with growth and improvement in various employment settings. While a large majority of counselors within this field work in private practice, professionals can also partner with court systems and social services to help people involved within these areas. Domestic Violence Counseling professionals can be leading sources of support for people that have experienced violence within relationships or within their families. During training, students can learn about the adverse effects of domestic violence on children, as well as the personality traits that trigger a higher likelihood for violent behavior within relationships. Using this information, students can learn how to better analyze their clients, develop plans that can be helpful in increasing confidence and safety and administering support systems within the community that can help people to heal from their experiences. The field of education may have been a long-time partner of counselors. In this field, professionals can work with students inside or outside of school in order to help them create meaningful and attainable educational goals. Educational Counseling can be a great field for professionals that have knowledge of the educational realm of society and wish to assist students with making better decisions regarding their future. Some of the tasks that Educational Counseling professionals may be responsible for can be K-12 educational planning, skills and talents testing, college reviews and career research. Each of these topics can help students to determine the most efficient path to the type of lifestyle they wish to pursue. Since the field of education can be extremely diverse and include students with varying personalities and desires, Educational Counselors should have a valid understanding of diversity in the educational environment. Educational training programs can help upcoming counselors better analyze their clients and provide assessments that are relevant to their desired outcome. Students in Educational Counseling degree programs can also learn more about the laws and regulations pertaining to school systems, so that they can blend their knowledge of counseling techniques with those of the school they choose to work for. One of the more well-known aspects of counseling may be responsible for working with families and couples seeking guidance in their relationships. Family and Marriage Counseling professionals are typically seen when there are disagreements, long-term stress or traumatic events that are interfering with a family’s or couple’s ability to bond in a healthy way. Using individual and group therapy techniques, counselors can help people explore their feelings, recognize how others feel and learn bonding techniques that can increase their inter-family connection. Counselors within this domain typically work independently, but can be found in partnership with state family service agencies or even in the court system. Family and Marriage Counseling professionals must complete a master’s level degree program with focus in their desired program area. During this program, students can learn about healthy family development, child and adolescent development and individual and group counseling techniques. These courses can be vital to the success of upcoming counselors working with struggling relationships on a daily basis. In addition to these courses, students within these degree programs may also take part in a supervised internship experience to see firsthand how these techniques are applied. There are numerous changes in life that can validate the need for counseling. One giant change that can greatly influence a person’s ability to cope efficiently is death. In Grief Counseling, counselors may be trained to help people work through the negative emotions associated with death, assist people in finding coping mechanisms and promote positive thoughts about the deceased in loved ones. The goal of the Grief Counselor is to assist families with finding closure to this extreme change in their lifestyle. While death is one of the main factors that can bring clients in to see counselors, grief can be suffered by any loss. Working in this field, professionals can work with people that have lost pets or even lost their jobs. Grief Counseling may require a versatile set of skills that can be obtained through collegiate training. Students in degree programs focusing on Grief Counseling can learn more about the psychology behind grief, as well as several different methods for coping with loss. Different types of counseling techniques relevant to exposure, acceptance and growth can also be learned in these programs, which are meant to help Grief Counselors enter the field with the ability to truly help others move on from their unexpected losses. Counseling may have long been a technique for assisting people with moving through life’s stages. Nearing the final stages of life, people may experience feelings of regret or dissatisfaction that are difficult to manage. Geriatric Counseling is a field of counseling that focuses specifically on the needs of the aging population. Some of the issues that are common for counselors in this field may include age-induced depression or regret, hospice preparation and acceptance of death. Geriatric Counselors may work in nursing or rehabilitation centers with aging people or even with the families of those residing in these facilities. Assisting patients with finding positive coping methods and positive support systems can help them through their journey through the geriatric stage. Geriatric Counseling professionals may require extensive training for working with the aging population in various settings. Degree programs for Geriatric Counselors can help to prepare professionals for working with individuals in these life stages. Some of the specialty topics that may be discussed for upcoming professionals may be counseling for patients with dementia, Alzheimer’s research and aging emotional health. As students move through these programs, they can learn skills that can help them support geriatric patients through varying circumstances in a positive way. Guidance Counseling is a special form of counseling that seeks to provide guidance to students in an educational setting. These counselors typically work on staff in different levels of the school system and help to provide assistance to students in several different areas. Counselors may assist students that are working through different life changes or circumstance in their personal life, help students that are struggling academically and provide a helping hand to students that are planning for the transition into higher educational programs. The role of the guidance counselor is more than just an interventionist within school systems all over the U.S. Guidance Counseling professionals can also organize and implement preventative programs, as well as awareness initiatives, to help students make better decisions for their lifestyle. People that choose to pursue a career in Guidance Counseling should receive the necessary educational training through an accredited university. Students in college degree programs for Guidance Counseling can learn more about assessing the needs of children in the school system, identifying educational resources to help them succeed and recognizing social and emotional problems that can contribute to educational distress. Learning each of these items can help professionals in making more effective decisions for children in the school system, which could lead to better educational and emotional development for students enrolled. In recent years, massive attention has been drawn to the psychological and emotional effects of military involvement. Military Counseling is a field that is geared towards the needs of active duty military personnel, veterans and families of military members. This field seeks to provide counseling services to members of the military that may be experiencing Post Traumatic Stress Disorder, Anxiety or Depression. In addition to these diagnoses, Military Counseling may also be great for families that are experiencing the negative effects of long-term separation or loss due to active duty. Professionals in this field may work directly with the U.S. Government or in private practice. People that wish to become a part of this highly influential field of counseling should commit themselves to learning more about the emotional and psychological effects of military involvement. This could include a look into the common diagnoses present within military members, as well as the effects of the military life on a member’s family. Through proven effective counseling techniques, Military Counselors can assist individuals and families with coping skills that can assist them with leading happier and healthier lives. Educational programs that focus on Military Counseling could be great resources for upcoming students interested in working with the brave men and women that serve the United States. Certain life events that change the pace of a lifestyle can have positive or negative effects on the people that are experiencing them. Rehabilitation Counseling is one type of counseling that can assist people with adjustment phases as a result of these life changes. Counselors within this field may be tasked with helping people work through recovery from illness or injury, as well as rehabilitation from drug or alcohol dependence. Each of these changes in life can present difficult challenges, require new skills or connections with certain resources within the community. Rehabilitation Counseling professionals may be often found in rehabilitation facilities, drug and alcohol treatment centers or even healthcare centers. In order to be a great Rehabilitation Counselor, upcoming students should have great insight into the psychological and emotional effects of extreme lifestyle changes on diverse populations. Through a thorough degree program, students can learn more about the different treatment methods, services and support systems that can be highly effective in transitioning people into happy and healthy lifestyles. This can assist upcoming professionals with recognizing the adjustment styles of different people, implementing treatment plans that are relevant to their needs and following-up to ensure that clients have received the proper care during their experience. Spiritual Counseling can be a great supportive resource for clients that are seeking spiritual or religious guidance within their lives. Counselors within this domain may operate under different religious contexts, such as Christian Counseling or Jewish Counseling. Their practices may also align with the scripture of their religion and consist of practices that are common within their communities. Spiritual Counseling can also be free of religion, with some counselors choosing to practice self-strength and inner balance as part of their treatment plans. Each of these methods may contain unique counseling techniques that can incorporate personal beliefs about religion on spirituality. In society, there may be a large demand for religion-based counselors to assist in times of need through churches or other religious organizations, as well as through hospitals and medical care centers. In order to become a Spiritual Counselor, students must complete a Master’s in Counseling and become licensed within their field. Special certification programs that focus on specific techniques for religion-based counseling or other spiritual-based methods may be required prior to advertising in the public domain. During these programs, counselors can learn to evaluate their clients, find meaningful treatment methods to assist with their struggles and provide continuous support services as needed. Counselors may often be preventative resources for people that are experiencing negative psychological and emotional feelings for various reasons. In specialty fields such as Suicide Intervention Counseling, professionals may work with people that have been diagnosed with Major Depressive Disorder or other forms of depression that are at risk for suicide or self-harm. Counselors that work in suicide prevention may also work with clients that have had or considered suicide attempts in the past. Some of the methods used by professionals in this field may be identifying triggers in clients that have experienced suicidal ideations, helping clients find hobbies and people that increase their sense of happiness and well-being and even screening clients that are under observation for current suicidal thoughts. This field may include the need for a deep understanding of depressive disorders and their effects of those that suffer from them. In educational programs, students can learn about the different pharmaceuticals used for depression, as well as the positive and negative effects of each. Triggers, emotional trauma and obsessive thoughts may also be subjects of interest for people interested in this field, since these can be powerful factors in the minds of people that may have suicide thoughts or ideations. Professionals that work in this field may work for crisis service agencies, mental health centers and even healthcare facilities. Some of the most profound emotion struggles may be based on the idea that people are constrained from their freedom of thought and expression. One field of counseling that may be growing in popularity and addresses this philosophy is Transformational Counseling. In this area, professionals may work with clients that are experience changes within their life, constraints to their freedom of expression or even transition from a sheltered lifestyle. These counselors may use different techniques for working through issues with their clients, most of which allow for their client to freely express their thoughts and desires. The purpose of Transformational Counseling is to help promote emotional freedom in clients and help them make their desires a reality. Connection to resources, self-confidence and realistic considerations are all methods for assisting people with achieving their goal of a worry-free and unconstrained life. While there are no specific certification programs for Transformation Counseling, upcoming students intrigued by this type of counseling can pursue this career simply by their chosen approaches to working with clients. Many people pursuing this career may find that becoming a counselor and working specifically with clients that are seeking new and free lifestyles is their best means for finding satisfaction within their career. Counselors within this field may often work in private practice or partner with counseling agencies that are interested in freeing clients from their emotional restraints. People that have been diagnosed with eating disorders may require a vast array of services in order to get on track for a happy and healthy lifestyle. In addition to the physical and medical considerations that should be addressed, clients may also seek out Eating Disorder Therapy to get to the root of their issues and transition into healthier thinking. This type of therapy can be used to delve into the psyche of clients in order to determine what social and environmental factors may have led to their eating disorder. Clients are often encouraged to speak freely about their experiences and thoughts, so that their therapist can develop a treatment to help change their lives. Patients may be seen in inpatient or outpatient settings and be exposed to different levels of psychotherapy or cognitive behavior therapies. The training required to be a part of this field may be filled with both psychological and health-related information pertaining to eating disorders. Students may thoroughly review some of the common factors that can lead to eating disorders, as well as social and developmental factors that can worsen the disorder or interfere with progress. Students in these programs may also learn more about the different types of treatment therapies available and how to apply them in a context that can be beneficial to their clients. Counselors and therapists all over the world may continue to develop creative methods for decoding a person’s inner feelings without verbal cues. One of the most well-known creative methods for therapeutic services is Art Therapy. In Art Therapy, counselors may allow patients of all age groups and levels of expertise to freely express themselves through painting, drawing, carving or even creating molds out of clay. This method can allow the counselor to interpret the inner feelings and cues through choices made during creative processing. Allowing clients to engage in creativity during Art Therapy can also be very therapeutic for clients that are experiencing extreme stress or anxiety within their personal lives. For young children, Art Therapy can be a great way to translate their feelings and their interpretation of their environment. Art Therapy professionals may require additional certification after completing a Master’s in Counseling. During this certification phase, counselors may be taught different methods of interpreting artistic information, as well as the benefits of using Art Therapy in a therapeutic environment. These types of counseling methods may also require professionals to understand the differences in interpretation between different age groups, since people generally provided different types of information depending on their age group. Also known as Chromotherapy, Color Therapy is a type of process that may have been used for thousands of years. This therapy uses the different colors of the spectrum (red, orange, yellow, green, blue, indigo and violent) to provide light energy to the body of the client. The purpose of this type of therapy is to provide the client’s body with energy balance that can be helpful in maintaining happiness and thwarting the effects of stress and ill feelings. The assessment process for counselors or therapists that provide this type of therapy may involve interviews with their clients, who can indicate what types of struggles or emotional issues they may be dealing with. Color Therapy providers may then provide the related Color Therapy to the client in hopes that it can help to adjust their imbalance and get them back on track emotionally. This type of therapy in interesting in comparison to others due to its focus on the physical effects of emotional imbalance in the body. While some counseling techniques and therapies focus on inner emotional cues, Color Therapy can be helpful by providing an energy balance that can then allow a person to organize and better understand their emotions. Students that may be interested in pursing this type of service as part of the treatment portfolio may be expected to take part in specialized certification programs prior to using Color Therapy with clients. In society, there have been many claims about creative methods of therapy that can be helpful to clients with varying emotional or psychological issues. Music Therapy may be a popular choice for people that are experience emotional woes and receive therapeutic benefits to singing, listening to music or playing musical instruments. Therapists that are certified to use this type of therapy can work with clients to determine which treatment methods could be the most useful for their types of issues. A treatment plan may then be created to use with the client in the office setting. An interesting component about Music Therapy is that it can also be continued after the client has left their designated appointment. Continual use of music as a therapeutic tool can help people cope when feeling overwhelmed, stressed or experiencing difficult life circumstances. Music Therapy providers must receive proper certification prior to providing this type of therapy to their clients. Most professionals within this line of work may have a background in music – but it is not required. Students within these certification programs can learn how different types of music can be helpful depending on the status of their clients and how these needs are different between different age groups. What Does a Counseling Degree Consist of? Universities that provide degree programs in counseling are vast throughout the United States. There are a number of different sites and majors to choose from. Individuals should choose a university that best fits their needs. Location, online availability, financial aid, and accreditation are huge factors that assist students in choosing the right school. Schools that are accredited in counseling are more likely to be accepted by different states for licensure requirements, leading to a more prosperous career in the future. ASSOCIATES IN COUNSELING: The first level of counseling for professionals, most available at community colleges. BACHELORS IN COUNSELING: A 4-year undergraduate path that provides learners with the foundation they need for a successful career in the field of counseling. MASTERS IN COUNSELING: Most counselors are required to have their Master’s and be licensed by their respective states prior to practicing with the public. We have 1000+ Master’s in Counseling Degree Programs in our directory. DOCTORATE IN COUNSELING: The highest of accomplishments for individuals in this field. After receiving a degree and becoming licensed, counselors can work in hospitals, private practices, state agencies, or even start their own business. The recent innovations to online learning have drawn a lot of students away from the classroom. However, the benefits of in-person learning are as appealing as ever, especially for students that are motivated to get the very best experience from their counseling degree program. Attending classes allows for students to make better connections with their instructor as well as other students. Questions about the material can be answered quickly and directly without having to wait days for a response. In the classroom there is no interruption due to network problems or internet lag, problems that can occur frequently when engaged in online programs. Traditional classroom experience is the most trusted fashion for obtaining an education. Working in laboratories or research facilities in person provide a much more meaningful experience for those involved than simply completing online coursework. Even though more people are obtaining online degrees, traditional in-class degrees are still the very trusted for employers. Traditional degrees do not require any additional testing or verification for employers, making it the most popular form of degree acquisition. For those that are interested in finding a college to attend, there are a number of universities all across the United States that can provide everything a student is looking for. Counselors are not specific to one area, but can provide assistance in a variety of areas. After deciding that counseling is a desired path, individuals should research the different specialties available. Choosing a specialty can provide extensive knowledge on the chosen subject, meaning even more reliable care for clients. Sometimes life can prove to be more than a person can handle on their own. That is the very reason that these degree programs have continued to grow in popularity over recent years. There are an outstanding amount of counseling programs available in the United States, and you can get started here. After obtaining a degree, the career opportunities in counseling are endless. More counselors graduate every year, promoting great economic growth in the field. As a counselor, professionals are not only in a field that is untouched by recession, but also a field that is rewarding for those involved. Using highly researched techniques, counselors will work with clients to solve every day problems. Those having issues with relationships also confide in counselors for advice. People struggling with dangerous addictions rely on substance abuse counselors for resources and techniques to change their lives. In a way, counseling is a life changing field. Without the help of counselors, there would be a lot of people dealing with their struggles without any guidance. View the top counseling careers here. Counselors serve the public in many different settings. Clinical or mental health counselors usually work alongside clinical psychologists in hospital or private practices. These career paths are similar in nature, with psychologists dealing more specifically with serious mental illness. Counselors are more likely to cease education at a master’s degree level while psychologists require doctoral level training. On the other end of the spectrum, school counselors work with students with day to day problems. Students confide in school counselors as a resource for educational and personal support. More specific areas of counseling include marriage and family counseling and substance abuse counseling, both areas that are highly regarded as reliable resources for families and those suffering from addiction. Overall, counseling is a field that is beneficial for both the professional and the client. Dealing with people and society as a whole is a remarkable choice that can truly bring overwhelming feelings of satisfaction to those in the field. Educationally, the provisions for success are endless. Professionally, there is no end to the potential career opportunities, especially in the years to come. Who Should Become a Counselor? For those with great communication skills, counseling is a perfect educational and career field. Counselors should be able to convey empathy to clients, while communicating effective solution plans in a professional setting. A strong dedication to success is also important. Clients dealing with emotional distress need a person to lean on and confide in. The interpersonal skills required for this positions are not difficult to achieve. Those that can connect with others and assist kindly with every day problems are a perfect fit for the counseling field. Learn more about the top counseling careers. info Notice a listing that needs to be updated? Interested in getting your accredited program listed? Please email us at schools (at) counselingdegreesonline.org to adjust any school listings or get your accredited program added (after review).